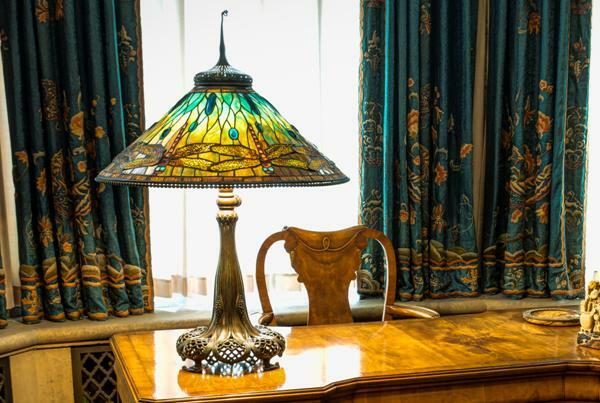 An extraordinary selection of leaded glass and bronze lamps created by the studios of the renowned American artist and designer Louis Comfort Tiffany (1848-1933) is on view throughout the mansion’s period rooms. Tiffany designed these lamps at the turn of the twentieth century, just as electricity was being introduced into American homes. Ultimately, he developed an entirely new art form, pioneering the artistic use of the light bulb to create decorative objects that were both elegant and utilitarian. 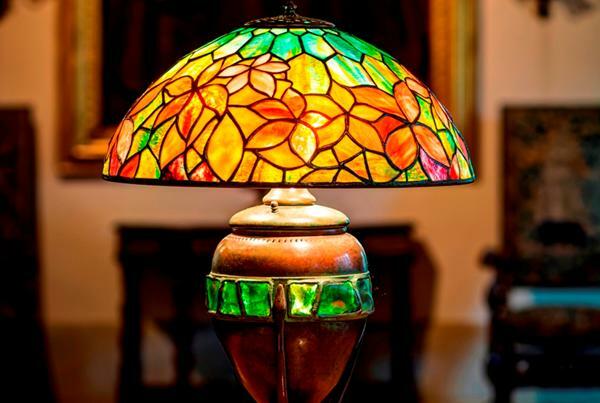 Nature was Tiffany’s primary source of inspiration, and these lamps show several of the artist’s favorite motifs, including dragonflies, flowers, vines, and peacocks. Loans are provided from private collections through the courtesy of Heritage Lighting Gallery in Cedarburg, Wisconsin. 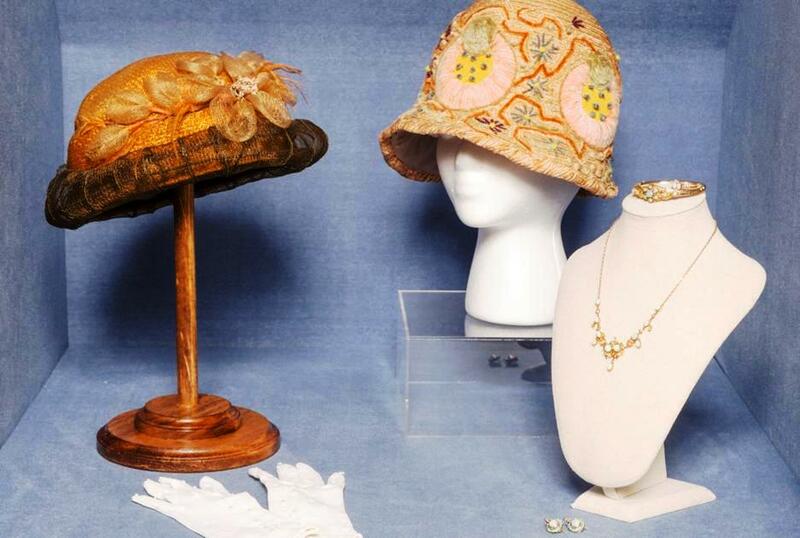 The Paine’s second floor Gothic Gallery features hats, jewelry, handbags, and other accessories dating from the 1910s through the 1920s, the same period when Tiffany lamps were becoming popular. These accessories from regional collections illustrate the taste for fine fashion and elegant embellishments among well-heeled women of the day. The accessories reflected the changing times through their evolving styles and designs. For example, millinery trends shifted from the opulence of the Edwardian era (1901-1910) toward a lessening of formality during World War I (1914-1918) to a more carefree, independent spirit after the war years with the dawn of the Jazz Age and an interest in more sleek, refined forms. Whether festooned in feathers and ribbons, embellished with intricate embroidery, or bedecked with beads and jewels, accessories provided the perfect finishing touch for an ensemble.